Learn to use the creative process to explore the parts of self that are being re-birthed as the first stirrings of spring begin in the earth. You’ll solidify your visions and intentions and discover ways to support your future path as the new year unfolds. Join a small group of women ready to discover more about themselves and where their journey is taking them. 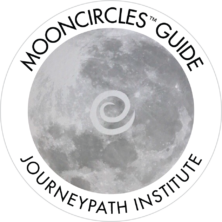 Jan will lead you in a guided meditation and the JourneyCircles™ process. Gift yourself the experience of an amazing day of self-care, self honoring and creativity among kindred spirits. All materials and light refreshments are included. Feel free to bring a lunch.